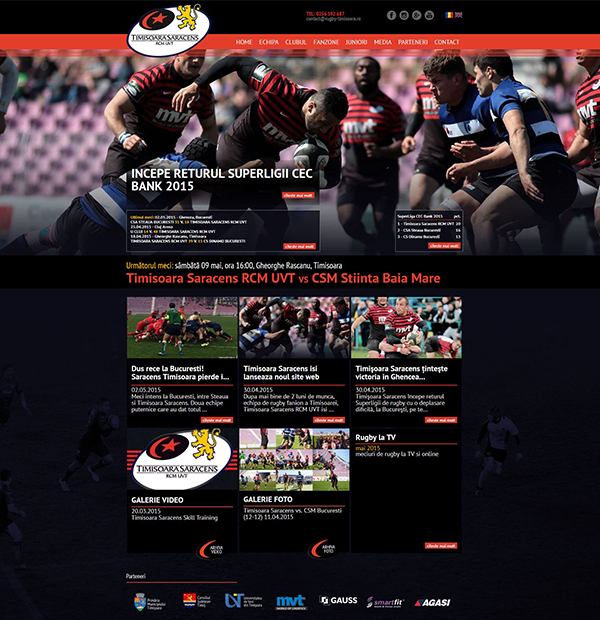 Royalty Webdesign developed the official website for Romanian champions at rugby, Saracens Timisoara. Timisoara Saracens won in 2011 and 2014 Romanian Cup in 2012 and 2013 won the title of national champion in SuperLiga CEC Bank. - Club presentation, records, stadium, etc. Rugby website also contains sections dedicated to fans, photo galleries, video, news, gaming regulation and codes of conduct etc.